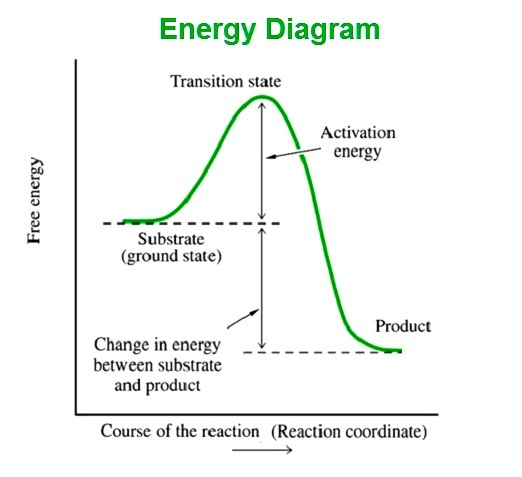 Energy Diagram – Energy Graph – Energy Chart – Energy diagrams – energy graphs – energy charts – energy diagram showing an energy plot via free energy vs. course of reaction, i.e. reaction coordinate. Energy diagram shows the following energy transition states and parameters: substrate, transition state, activation energy, product and change in energy.